Early Learning at Strathcona aims to instil a sense of excitement and natural curiosity about the world, giving children the courage to explore, investigate, experiment and wonder. Through a collaborative and supportive partnership with parents, teachers facilitate an exceptional learning environment that enables each child to reach their potential. 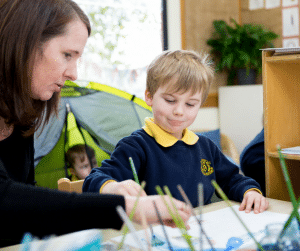 Our progressive approach to education is influenced by Howard Gardner’s concepts of learning and the Reggio Emilia Approach, in which children are recognised as capable and resourceful, and have many different ways to learn, know and communicate. 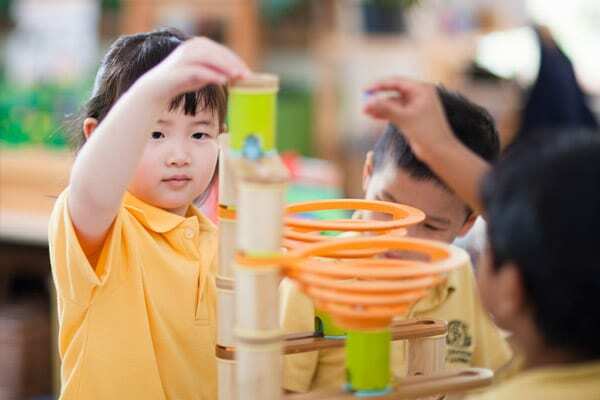 The learning environment is stimulating, interactive and nurturing, with a balance of child initiated and intentional teaching, creating spontanious and flexible learning experiences. Our ELC is co-educational and we offer several options for both 3 and 4 Year old programs, including a full time five day Pre-prep program. Your child’s first year of education is a time of discovery. We foster an atmosphere of mutual respect and trust, building a child’s sense of belonging and connection with the world around them. The rhythm of each child’s personal growth is respected and catered to in a learning environment that is responsive to a child’s natural curiosity and inquiring mind and builds their understanding through a creative and stimulating program. Our students move through from the 3 Year Old Program to the 4 Year Old Program or Pre-prep Program each year. This is usually the last year before starting at the Junior School. The foundations established during a child’s time in the 3 Year Old Program are further extended and consolidated as they become increasingly confident and develop a greater sense of independence. As well as the educational cornerstones of literacy and numeracy, the children in the 3 and 4 Year Old group attend complementary specialist classes including weekly library visits and Sport/Perceptual Motor Program (PMP) sessions. 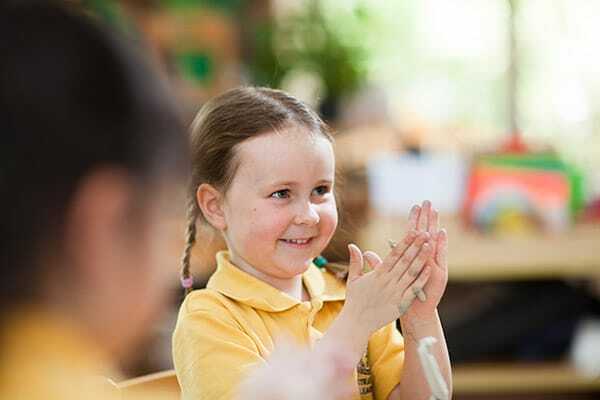 Pre-prep at Strathcona is a full-time five day program, which provides an opportunity for your child to benefit from a further year of early education Junior School the following year. It is also an opportunity for all children to further extend and consolidate their learning and skills. To complement this rich program there is an additional range of specialist classes, which include swimming, sport, art, library, music and a weekly shared lunch program. 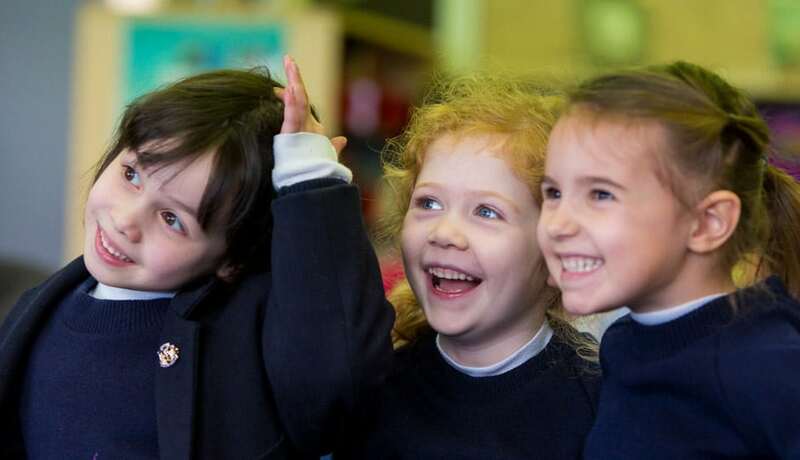 Through regular interactions with the Junior School such as our Buddy program, the children become familiar with a primary school setting and its expectations. 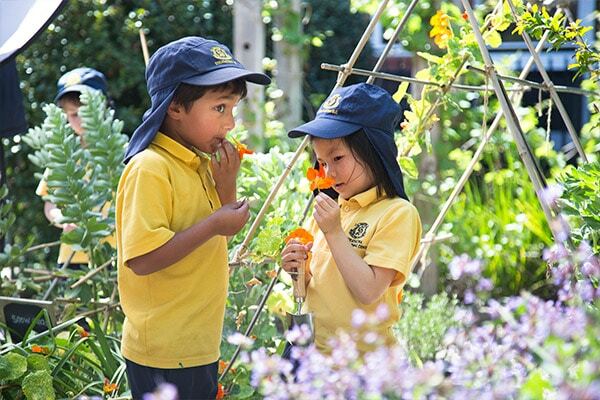 The shared lunch program provides children with opportunities to experience the joy of growing their own food in our vegetable garden whilst developing an awareness of sustainable living. They learn about the effects of seasonal changes and how to care for plants in order for them to grow and thrive. This rich program enables children to develop an understanding of the meaning of care and responsibility, the value of time and the joy of harvesting. It is a rewarding experience that celebrates the pleasure of preparing a meal that can be shared with friends. In conjunction with a strong emphasis on literacy and language development, students in the ELC benefit from a range of specialist classes. Children are involved in the reading of a picture story book, followed by a short activity. Each week ELC students are able to borrow a book using their library bag. Each week, ELC students take part in a PMP class that encompasses movement, coordination and physical skills. Parental participation is encouraged as both students and staff enjoy the assistance parents can offer. Students receive a weekly lesson that focuses on developing water familiarisation, safe water practices and swimming skills. The children participate in small rotational groups with qualified swimming instructors. ELC students are read a story and then encouraged to represent the ideas within that story with the use of a variety of media and artistic methods. ELC students are involved in musical activities, including songs and dancing, that foster the learning of musical elements such as beat, pitch, tone and rhythm. Learn more about enrolments, school tours, and how your daughter can benefit from a Strathcona education. Summer is coming and the September holidays are around the corner. It is a perfect time to have your child learn to swim. Strathcona Swim School is a learn-to-swim program that incorporates stroke development and water safety.